Mozilla has a new plan to battle the increasing dominance that companies like Facebook, Google, and Twitter have over the web. 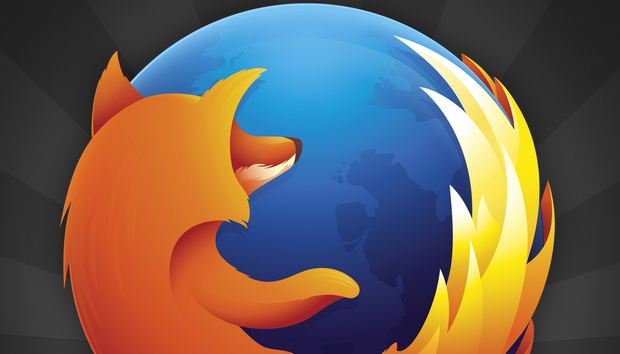 Firefox's maker says it's building a new recommendation system for the web that helps you discover handy content based on what you’re doing online. Dubbed the Context Graph, the new system comes up with its recommendations based on content that other users have found useful. The Context Graph will also look at how one page relates to another page online. “Lots of pages link to a single YouTube video, but there’s no way to get at all those pages from the YouTube video itself,” Mozilla explains on its Context Graph project page. “If we can understand this network of links, we can use it to build a better recommendation system.” Understanding how one webpage links to another is also a core concept of Google’s search engine. A simple example that Mozilla offers for how Context Graph could work is if someone’s looking for information about DIY bike repair. Context Graph would be able to recommend content based on the websites and pages other people have visited to learn the same skill. The ultimate goal is for Firefox to recommend useful online pages when you open the browser. Based on your location, for example, Context Graph could recommend useful websites for whatever you’re doing. “Wikipedia articles, company pages, and URLs emitted from Bluetooth beacons are all fair game,” Nick Nguyen, Mozilla’s vice-president for Firefox Product said in a recent blog post. There’s a key point missing in Mozilla’s Context Graph project page and Nguyen’s blog post. Mozilla’s plans sound a lot like it wants to build a predictive version of Google’s search engine in order to power active, predictive Google Now-like experiences in Firefox. That might be a useful tool, especially if Mozilla nails the discovery aspect and favors smaller, independent sites over mainstream recommendations you can already get from a simple Bing or Google search. But Mozilla’s concept will only really take off if it can offer Context Graph-powered tools with intuitive interfaces and benefits that are immediately obvious to users. Based on what Mozilla has said thus far I’m skeptical. Right now, Mozilla is full of high-minded ideas for Context Graph, like creating a “forward button for the web,” and a mildly tedious explanation about how the Firefox maker wants a meadow to flourish at the base of the web’s old growth forest. That all probably sounds great when you’re brainstorming new features in an IRC channel, but big ideas that don’t result in simple, intuitive features tend to flounder. History is full of high-level concepts that never quite made it into products people wanted to use, like Google Wave, Facebook’s Graph Search, or the mobile app Color.